Night Slugs had a decent launch and current one follows the same paths of smooth UK garage and house productions. 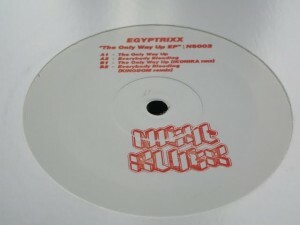 A friendly outing by Egyptrixx to accompany the journeys in the London Tube outside peak hours. On the A-side “The Only Way Up” is packed with snare and solid bass along with whining synths. “Everybody Bleeding” follows pretty much the same patterns, only a robust female vocal adds some extra weight. Remix treatments on the flip stand out: Ikonika Remix of “The Only Way Up” with subtle chords and deep house feel is the first one to remember. Kingdom Remix, of the second A-side track, is the roughest part of this release and has even hands-up euphoric feel, if I may say, with vocals stripped. 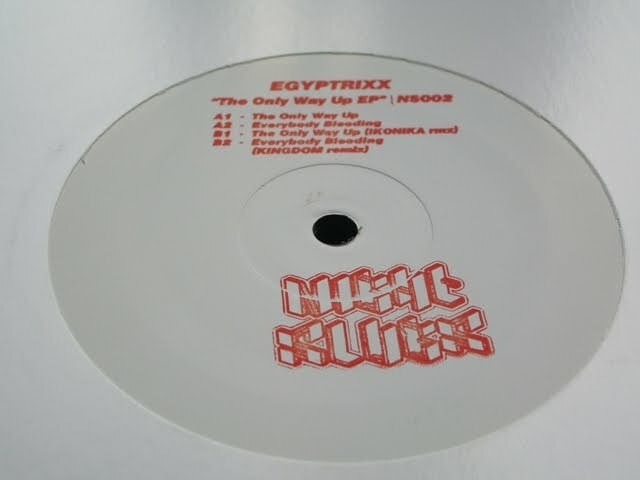 Despite of delivering nothing unexpected on this release, Egyptrixx has well jumped the bandwagon of the contemporary UK scene.